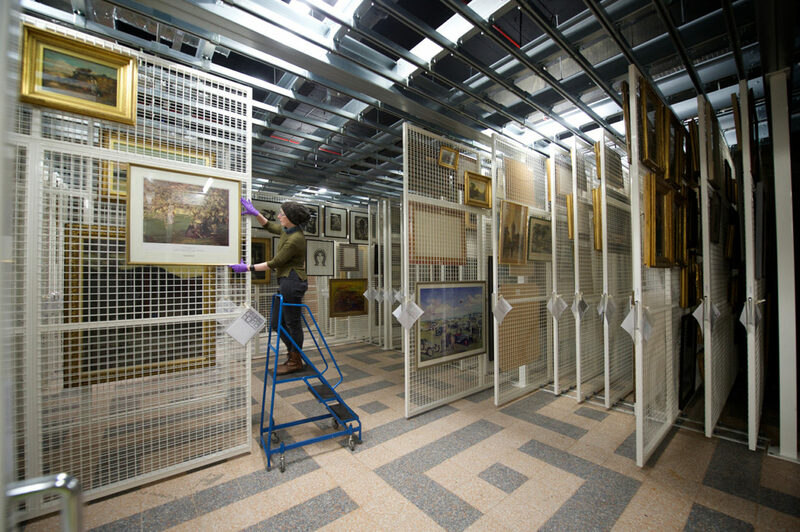 The Secret Collection creates a 2100 sqm state-of-the-art Museum Storage facility housing the excellent museum collections of Renfrewshire Council Arts & Museums service. 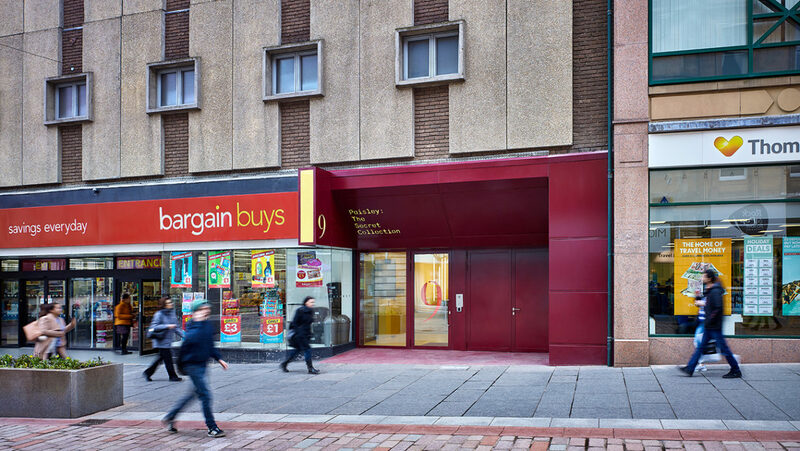 Strategically located within the basement of a prime town centre property (a former Littlewoods department store), the facility helps to revitalise the High Street location while providing excellent access due to its central location. The collections are stored within secure, climate controlled environments while facilitating behind-the-scenes visits for school groups, interested parties and researchers, thus opening up the full collection to the wider public. 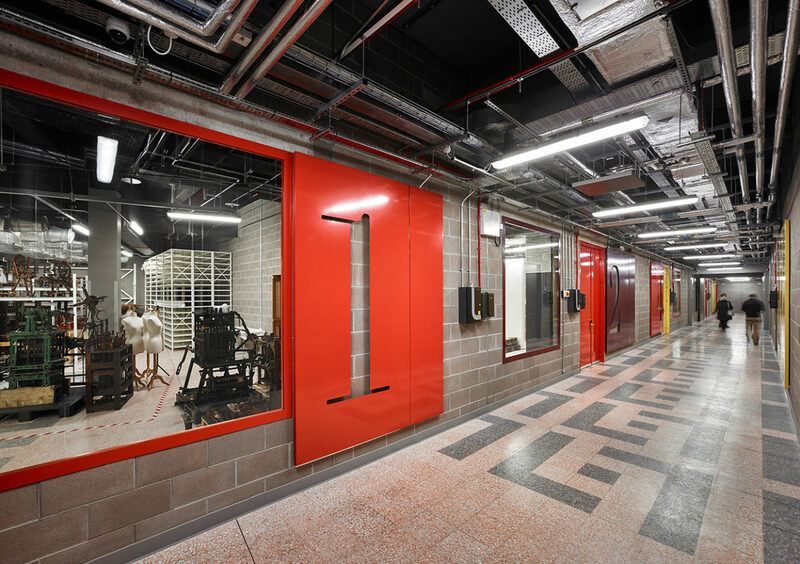 Collective Architecture were responsible for the design of both the architectural­ elements and the museum collection storage strategy and collaborated with ISO Design and artist Toby Paterson on the graphic elements and colour strategy. The existing building was purpose built by Littlewoods in the mid 1970s and was occupied by the department store until 2005. After the building changed hands, the new owners subdivided the property into 3 separate units; a basement level with loading bay access to the rear and a fire escape stair to the High Street; a ground floor unit with direct access from the High Street (now Bargain Buys) and a 1st floor unit with limited access from the High Street and which current lies vacant. 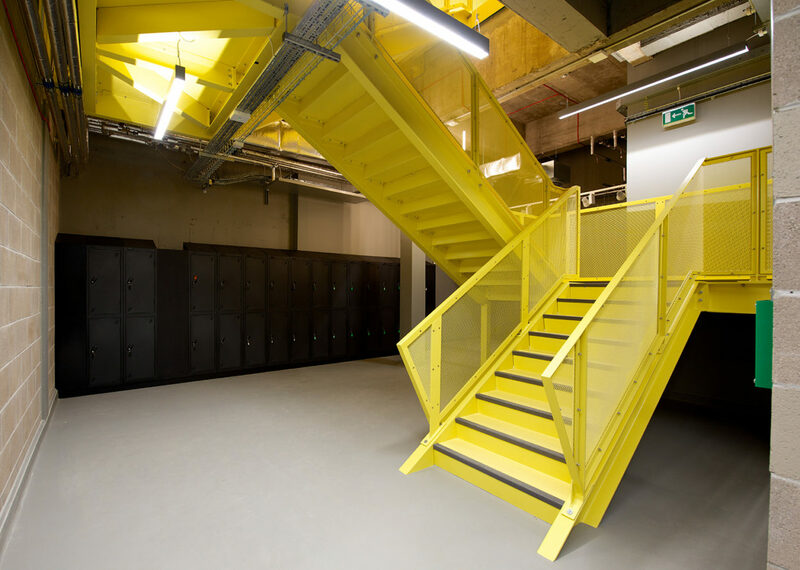 While the existing basement provides an ideal space for a storage facility, the opportunities for making this a welcoming space for public tours and staff alike were severely hampered by the very small frontage to the High Street (3m wide) and the extremely limited areas to take daylight into the building. 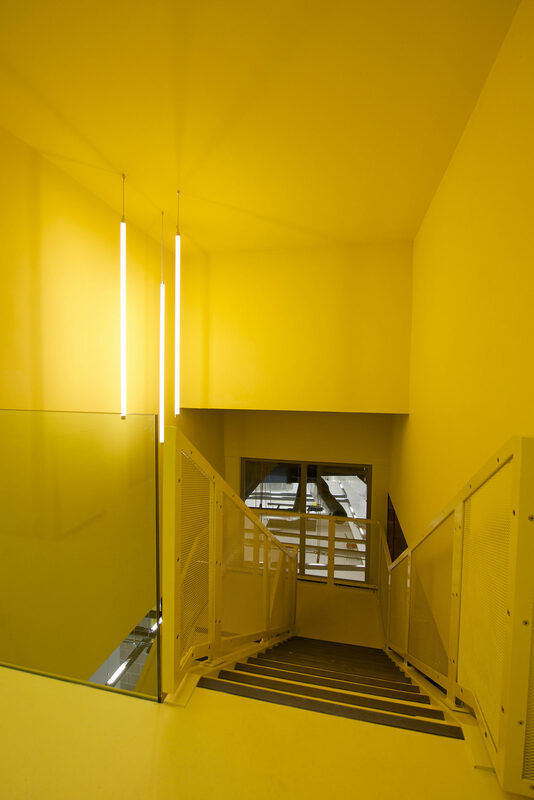 Therefore, as starting points, decisions were taken to locate the staff office at the sole location on the external wall where a glazed screen could be installed and to demolish the existing 3m wide stair case to create a new stair well where a small amount of daylight could filter down to the foyer area. To make positives out of negatives, the design concept also plays on the excitement a visitor will feel when entering the store via a narrow entrance, descending down into the deep, dark foyer via the winding staircase. The full scale of the stores are then dramatically revealed when entering the exaggerated long spine corridor revealing the surprising depth of the facility. 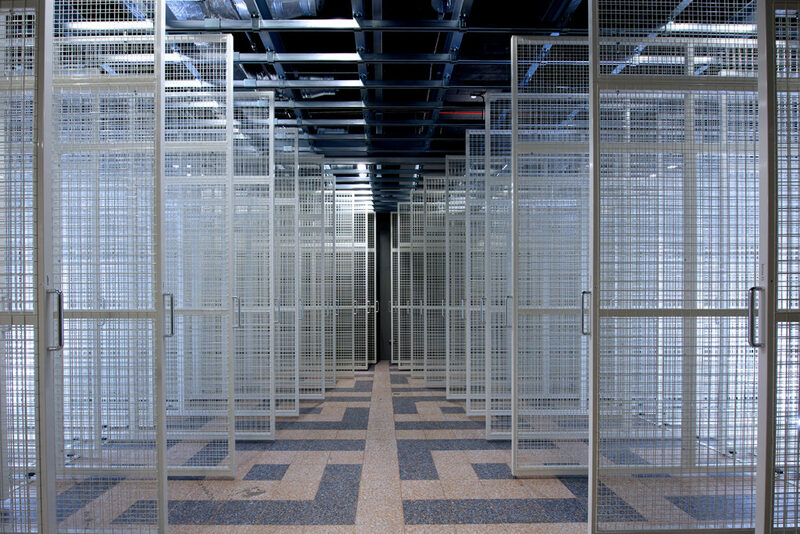 The corridor is animated by glazed screens, providing enticing views into the stores, and has been aligned and dimensioned to suit the existing terrazzo flooring grid giving a slightly surreal quality to the space. A layer of super-sized graphics further emphasises the scale and industrial nature of the space.